Some 200 disgruntled rebels who fought with the Pentagon and NATO in the regime-change military mission against the Jamahiriya government in Libya during 2011, made an effort to assassinate the interim Prime Minister Abdurrahim al-Keib on May 8. The rebels were supposedly angry over the cancellation of monthly payments to the militiamen who served as ground troops in the campaign that overthrew the martyred leader Col. Muammar Gaddafi. The compensation program for the rebels, which distributed $US1.4 billion, has been riddled with fraud and consequently was suspended in April. There were reports that people were paid who were dead and that those who never joined the anti-Gaddafi efforts also received monies. In addition to these problems with public funds being turnover to rebel fighters, others were sent on trips abroad for medical treatment but were not injured. Other allegations of corruption over the last several months have included irregularities with the Libyan Investment Authority where some $US2.5 billion in oil revenues that were supposed to be transferred to the national treasury remains unaccounted for. Also the foreign assets that were frozen by the imperialist states in the early stages of the war on Libya remain a source of dispute in regard to the actual value of these funds. In the eastern oil-producing region of the country, the Arabian Gulf Oil Company has been hampered by work stoppages by employees who are demanding accountability from the executives running the firm. Although oil production has reportedly increased to a million barrels a day, there are questions about the utilization of revenue and the compensation of workers. Human Rights Violations Ignored by the Imperialists and Their Surrogates The rationale for the imperialist war on Libya during 2011 was that the Gaddafi government was violating the human rights of its citizens during an armed rebellion that was financed and coordinated by foreign interests. Despite the fact that no concrete evidence of mass killings and imprisonment were uncovered, this same narrative is being maintained as a justification for what transpired. In April there were claims that three people were tortured to death in a prison in the coastal central city of Misrata. This prison has been notorious for its mistreatment of detainees and there are allegations that another seven people have been murdered there as well. The detainees are accused of fighting with the Libyan military in defense of the country that was being attacked internally and from the air and sea during 2011. Another method of arresting people is by outlawing any “glorification” of the former leader and government of Col. Muammar Gaddafi. The NTC government has passed a law that orders the militias to round up for prosecution anyone in support of the former political system that ruled the country for 42 years. Consequently the upcoming elections will bar political interests that still remain supportive of the Jamahiriya. Threats against supporters of the former Gaddafi government also extend outside of Libya. The son of Muammar Gaddafi, Seif al-Islam, is still being held in a secret prison in Zintan and is not being allowed to have legal representation of his choice. An International Criminal Court (ICC) representative visited him recently for an interview in which it was witnessed that two of his fingers were severed and a tooth was missing. ICC prosecutors are allowing the detention of Seif al-Islam inside Libya although the NTC government claims that it is not in control of the facility where he is being held. Under such conditions and with overall political chaos inside the country, it will be impossible for him to have any semblance of a fair trial. Elections Will Inevitably Be a Sham There is no way that the elections scheduled for June 19 can be considered free and fair. The former officials of the Gaddafi government and their supporters have been criminalized and many of them remain outside the country. The entire registration process has been marred by confusion and inconsistencies. One Libyan who was quoted by the BBC said of the process that “We don’t understand elections. There are some who don’t know anything at all! There’s nothing on TV even about how elections work, how to vote, what to do.” (BBC, May 11) Meanwhile the secessionist elements in the eastern part of the country where the anti-Gaddafi rebellion began in February 2011, the so-called Barqa Council, has rejected the election process and is calling for a boycott. 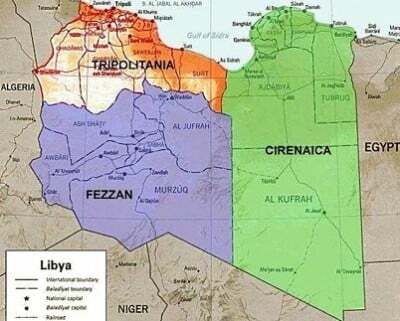 The leadership within the region, which is calling itself the Council of Cyrenaica, is pushing for autonomous status outside the authority of the NTC in Tripoli. Abayomi Azikiwe is the editor of Pan-African News Wire , an international electronic press service designed to foster intelligent discussion on the affairs of African people throughout the continent and the world.